Everyone loves a good story and at this year’s Perform there was no shortage of classic commentary. This post took me a few hours as I searched through all the tweets. But how boring if it’s just me. So please share in the comments any tweets that you think I should update and add! 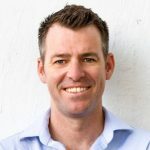 In order to keep pace with consumer demand, and to keep up with the complexity of digital environments, we shifted our release cycles from 4 major releases per year to 26. This level of innovation sets us apart and will see Dynatrace continue to accelerate past other APM vendors. Forrester analyst James McCormick liked it. The CEO of Pivotal Rob Mee was one of the standout sessions. I gathered two great quotes which showcased the value of our partnership. Mark Kaplan joined us for 2 presentations at Perform. At the risk of stealing the show, and this post, he was responsible for not 1, but 6,7,8 classic comments at the event. 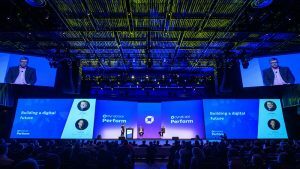 What an amazing 3 days at #Perform2018. Thank you @Dynatrace for another amazing event and another dose of amazing new features! #Davis #replay You’ve revolutionized the apm industry. SAP: Zero downtime is super important to us #Perform2018 <- there goes all the systems integrator support jobs! The Citrix transformation is a powerful one. These numbers speak for themselves. It was awesome having AWS as a major sponsor, partner and for us, a customer. 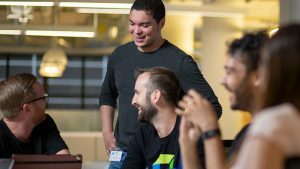 Tomasz Stachlewski shared how IOT and serverless is a focus for AWS customers, and that Dynatrace is perfectly suited to support. The Beachbody presentation generated a sea of classic tweets. From zero dashboards, to consolidation of tools. Here are just a few posts. Sita is the world’s largest provider of digital services to the airline industry. So when they set about disrupting the buggage system – they enlisted Dynatrace. Starbucks – finding a needle in a digital haystack. For Starbucks they needed quick answers to digital problems – not a Monopoly board of problem resolution sequences. With a new store opening in China every 15 hours they need scale, visibility and precision. The beauty of Dynatrace, was our ability to identify issues right down to the line of code. But not their code. 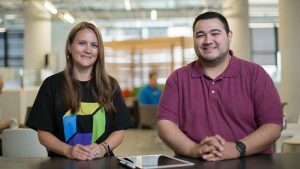 They now use Dynatrace to hold all ISV’s accountable. What if the data extended beyond the screen? Our R&D teams don’t rest and never settle for status quo. So what now? First it was AI, OneAgent, Full Stack, Session Replay, then voice integrations, now 3D rendering? The highlight of the show had to be when our team shared the vision for going beyond APM. Virgin Money tires of alerting and turns AI powered root cause problem resolution. I shared a beer with Andy Lofthouse on stage as he shared how Virgin Money has gone from guessing, days of troubleshooting, impacted customer experience, false alerts to precise AI powered root cause brilliance. I shared how software is dominating our lives and code complexity is growing exponentially. This is why the world’s leading brands and airlines turn to Dynatrace to manage their IOT requirements. Remarkably the Ford F150 has more lines of code than a 787. Our social media manager figured it was big enough for him. And of course a giant fuseball table filled the twittersphere. One of our rockstar presenters shares his new kicks. Get your story ready for next year peeps!